AKG K323XSi review | What Hi-Fi? Describing almost anything as a box-ticking exercise tends have a whiff of negativity about it, but in some cases it can be a compliment. 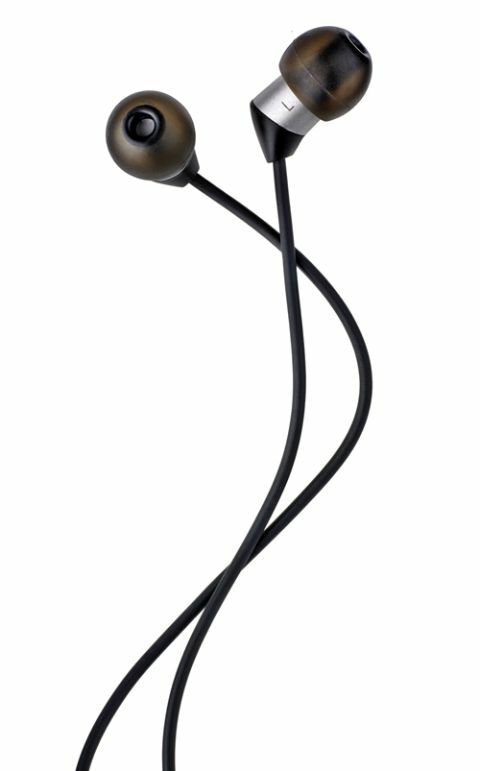 Take the K323XSi earphones, for example – it’s as if AKG wrote a list of everything the average person might want from a pair of in-ears and wouldn’t call the design job done until it had a tick in the box next to every item. Cheap – tick; Tiny – tick; Light – tick; Mic and remote – tick; Great sound: tick. Unsurprisingly, that adds up to an earphone proposition that’s hard to resist. Starting with the build, these AKGs are so tiny and light they barely register in this plain of existence. There’s nothing premium about the materials used, but the K323XSis never give the impression of being poorly put together or anything less than solid. In the small box, you will find just four pairs of silicon earbuds, but we had little problem achieving a snug fit and noise-isolating seal. The cable doesn’t have any fancy anti-tangle properties – not a great surprise at the price – and while it’s prone to carry a bit of movement noise up to the ears, there’s nothing to stop you wrapping the cable over your ears before inserting the buds (a classic trick for almost any pair of in-ears) – we didn’t even sense any loss in call quality from the rise in the position of the mic. Talking of the mic, it’s mounted onto an Apple-spec three-button remote, which allows iPhone, iPad and Mac users to adjust volume, as well as pausing and skipping tracks. With most Android phones, you will lose the volume control but will be able to use the centre button for pausing and skipping. Audio issues can occur in some, though, so check compatibility with your specific handset before forking out. There are flaws to the sonic performance – a little hardness when really pushed and a lack of openness compared to some pricier alternatives, such as Beyerdynamic’s MMX101IE (£100). But, for the money, these AKGs are impressive. The balance between bass, mid and treble is pretty much spot-on, with no aspect dominating and all flowing into each other to create a unified, cohesive whole. There’s lots of attack and more detail than you’d probably expect at this price, too, and that means everything you play is delivered with the excitement it deserves. Play Arctic Monkey’s Do I Wanna Know? and there’s enough insight to reproduce the sarcasm in the vocals, kick of the drum and edge to the guitars – and when the chorus kicks in the AKGs are capable of delivering the dynamic shift to up the scale of the presentation. All told, while these aren’t entirely perfect, they are about as good as you can reasonably expect for £50. If that’s your limit (and particularly if you’re an iPhone user), you can buy with absolute confidence.